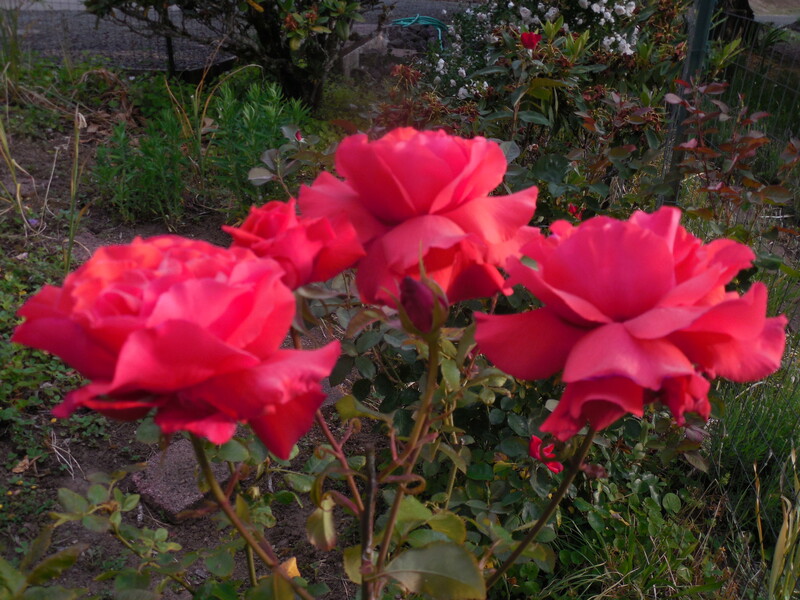 A ‘single’ rose means there are only five petals. Their beauty is fleeting, they do not last long on the bush. When the shrub is full of flowers it is quite a sight. Then there is lots of deadheading, to encourage more blooms. One of my favorites, sturdy and stalwart. Again, lots of deadheading to keep it blooming & looking great. 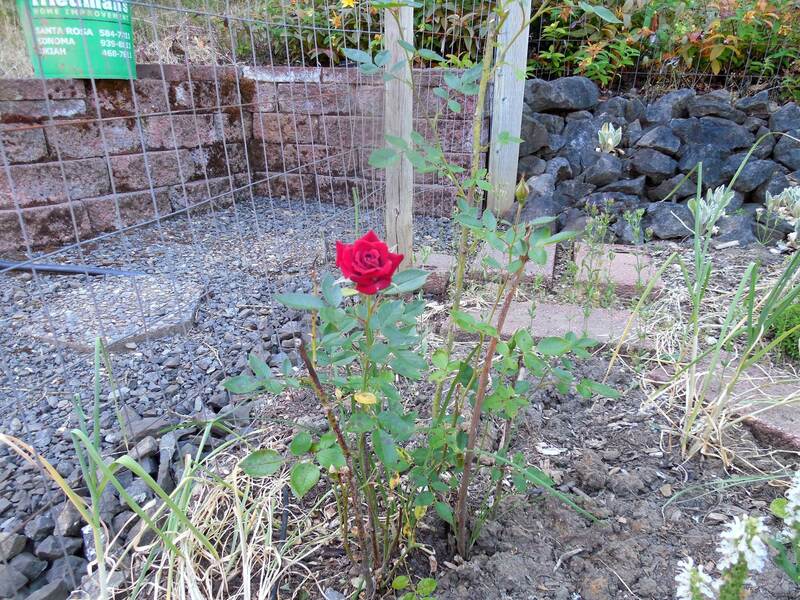 Our most aromatic rose bush, which is why my husband had to buy this one. 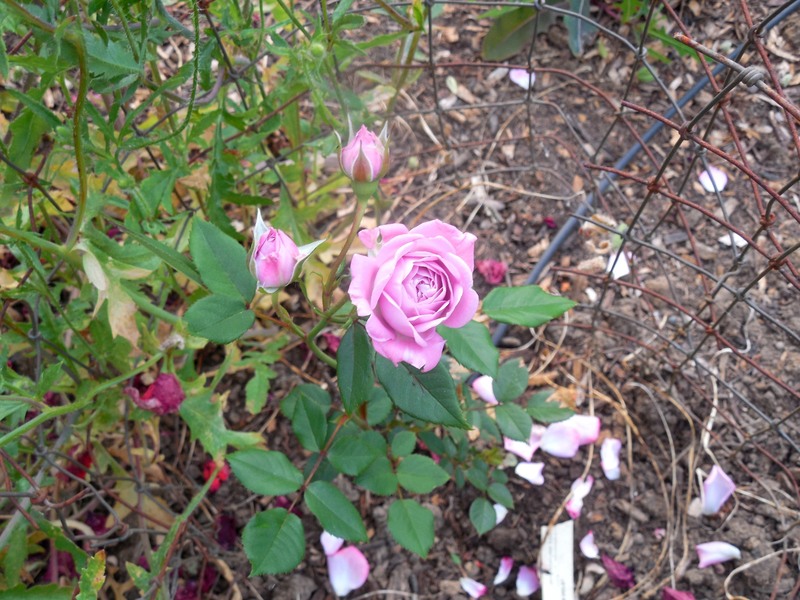 Vi’s Violet is another miniature rose bush. This plant struggles, but stays alive. It gives a few blooms every year. This poor plant had been struggling for a couple of years, and almost did not make it through the winter. I dug out chives that were threatening to overrun at the base, and dug in bark mulch and added more topsoil. It looks so much better this year. 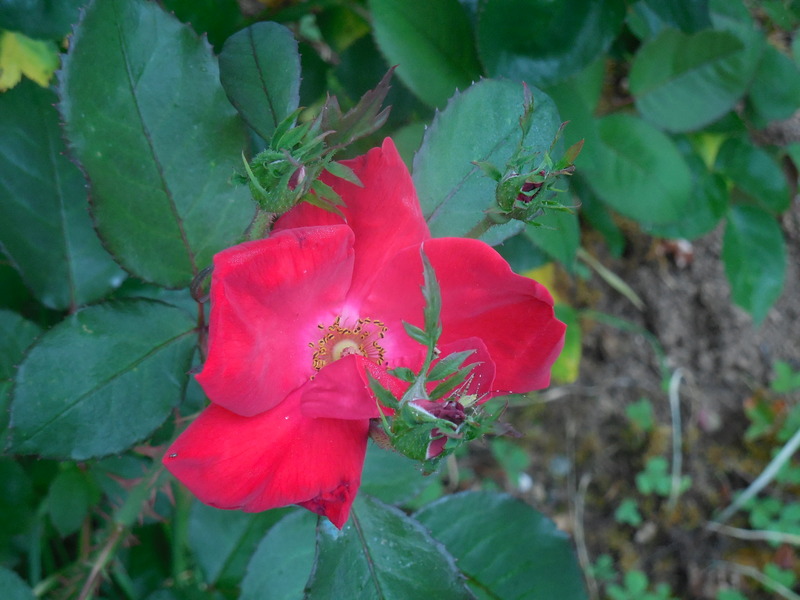 A climbing bush that bears miniature red blossoms, this had been one of the most productive roses here. It now looks to be on the way back to its former glory. 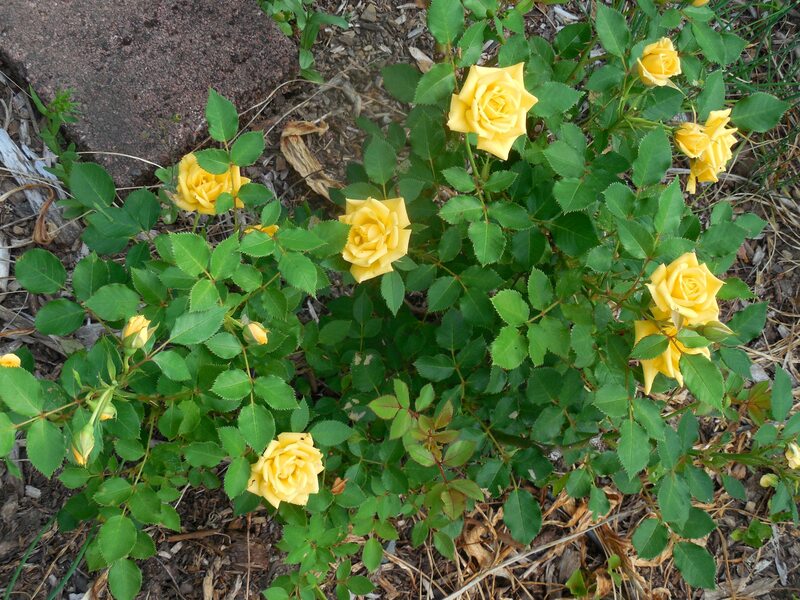 Categories: Roses, Uncategorized | Tags: aromatic, climbing, deadhead, miniature, red, roses, violet, yellow | Permalink.